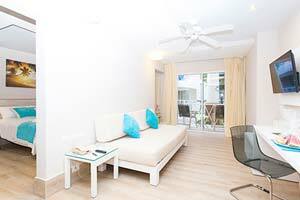 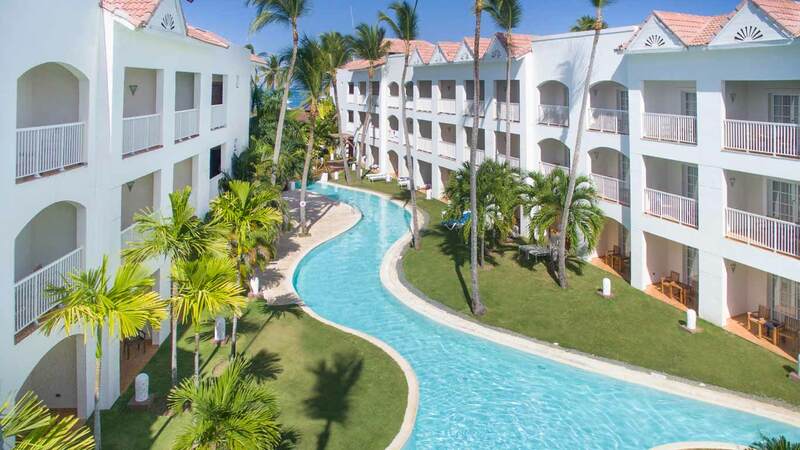 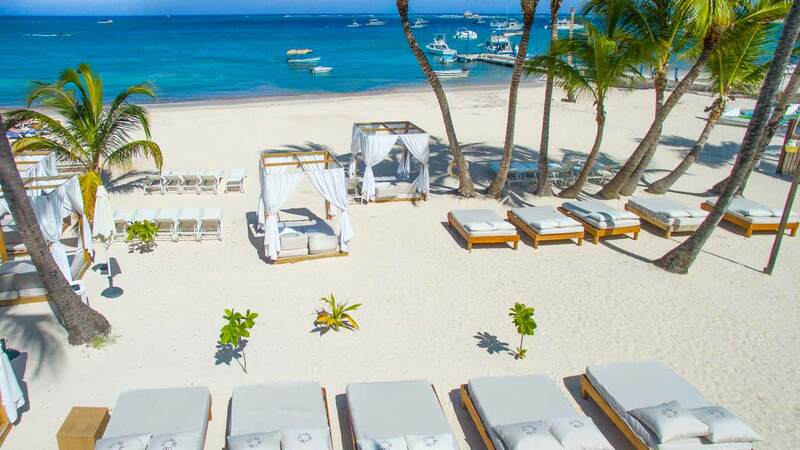 Be Live Collection Punta Cana features 904 rooms that include A/C, full bathroom, hairdryer, coffee machine, flat screen TV with cable, mini-bar with beer, water and soft drinks, non-smoking rooms, iron/ironing board, balcony, alarm clock, telephone($) and safety box($). 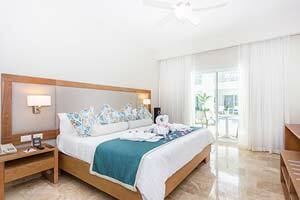 In the Deluxe Rooms at the Be Live Hotel Collection Punta Cana we offer exclusive King Size and Queen Size beds. 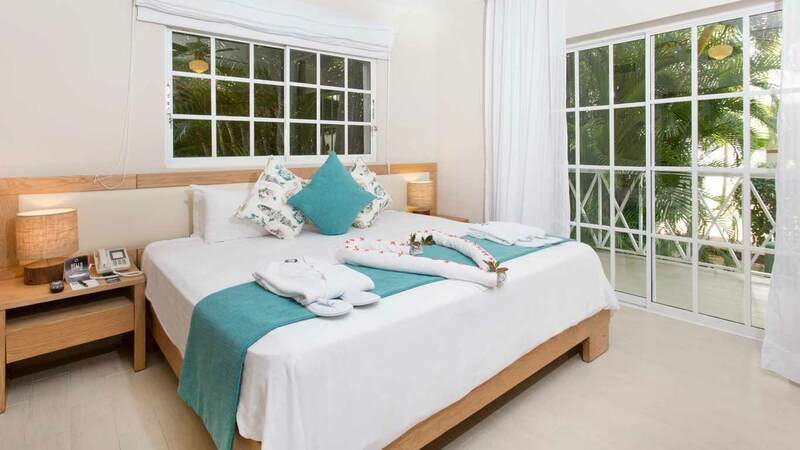 Decorated using typical Dominican Republic sceneries, these rooms provide you with your own terrace where you can enjoy the marvellous nature of Punta Cana as well as a full bathroom with the latest generation hydro-massage bathtub, so that you can enjoy your relaxing visit in the Caribbean in complete privacy. 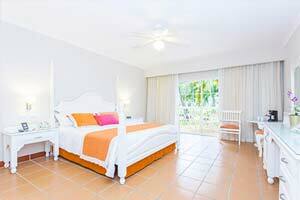 Discover our spacious rooms designed for the whole family. 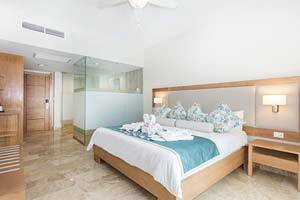 These 42-square metre family rooms with views to the garden are equipped with all the necessary amenities for an idyllic holiday. 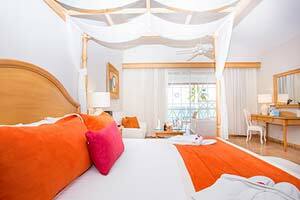 The family suites offer amazing views to the sea and have been specially designed for children's and adults' rest. 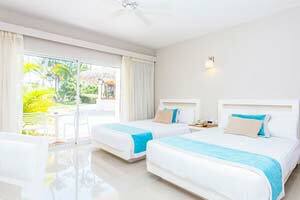 They feature 2 different areas: a bedroom with a King Size bed and a living room-bedroom with 2 Queen beds. 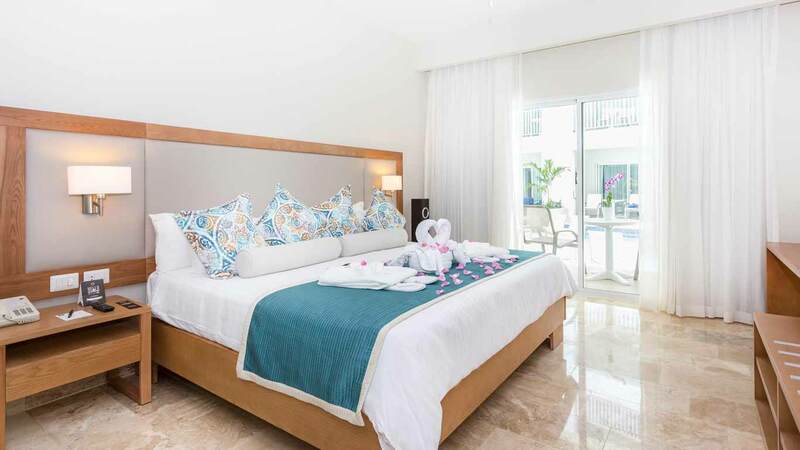 The adults club master suites ocean view offer views to the sea and 2 Jacuzzis (one in the bedroom and another one in the terrace) are the ideal option for a romantic getaway. 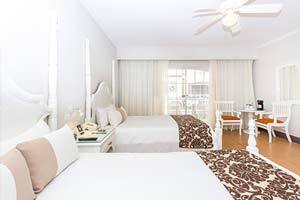 These spacious and comfortable rooms offer you: King size bed, fully-equipped bathroom, hairdryer, make-up mirror, air conditioning, coffee maker, cable TV, minibar, iron, ironing board, iPad, iPod or iPhone docking station, alarm clock, radio-clock, safe and telephone ($). 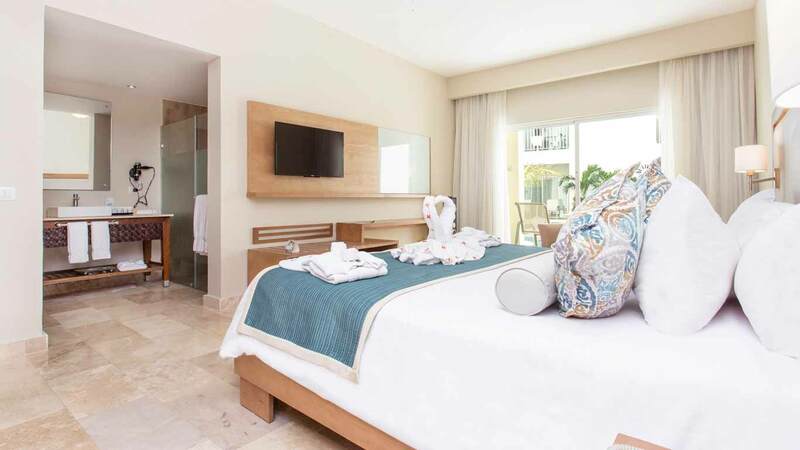 The new and modern adults club superior deluxe swim up rooms offer views and direct access to the swimming pool from their balcony.